2018 has seen an upsurge in extended family bookings at Trevornick – because of all the extra comfort, space and luxury on offer. Multi-generational holidays are the latest family favourite at Trevornick (the 5-star camping and touring haven near Newquay in North Cornwall) as increasingly active grandparents seek to bond more and make memories with the grandkids. 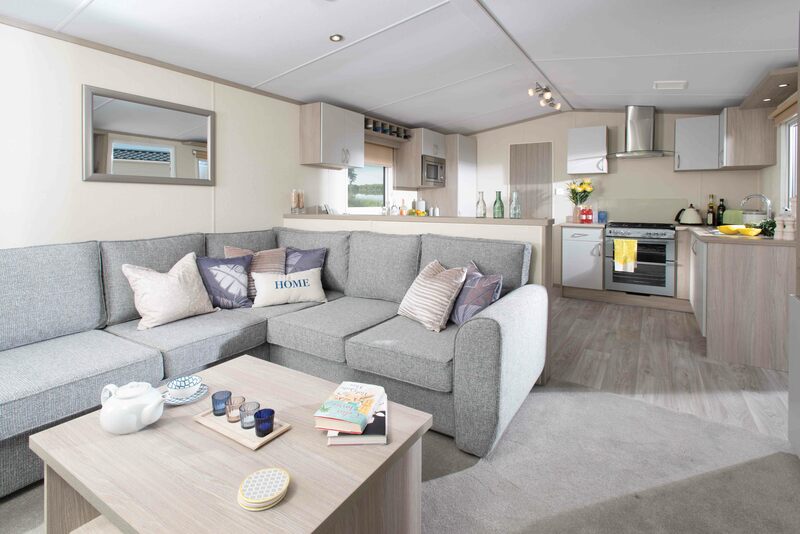 Whilst Nana and Granddad nights under canvas may be over, the introduction of stylish new static caravans for 2018 has seen an upsurge in extended family bookings at Trevornick – because of all the extra comfort, space and luxury on offer. With many families now living far away from each other, they’re just the thing to get everyone together but can also mean that parents may even get an evening or two out by themselves. Indeed, Trevornick is uniquely placed to cater for parents, grandparents and kids of all ages alike (as well as being very dog friendly) and the swanky static caravans appeal to a different audience of adult groups too – friends organising get-togethers or reunions and parents without children who also want excitement and adventure, but home comforts on tap. 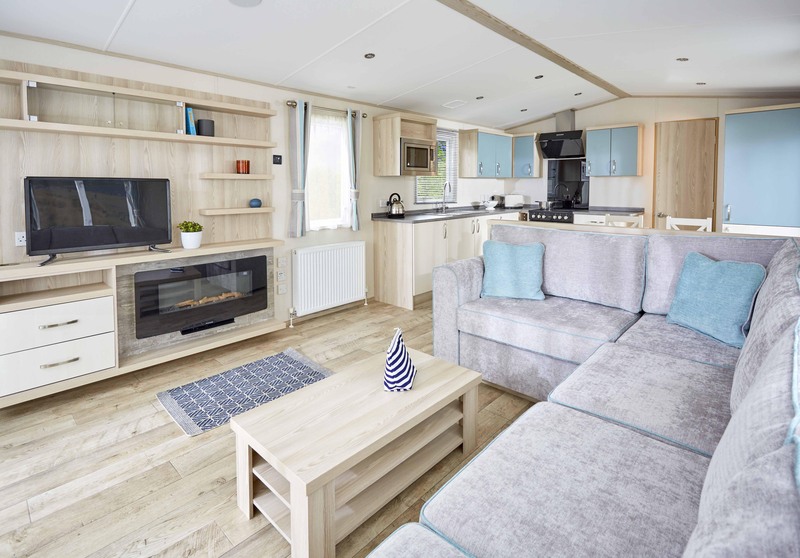 Launching Friday May 11th, Trevornick’s 26 smart new caravans offer fashionable and inviting décor and all the mod cons you’d expect of a top-notch holiday home. Positioned on beautifully landscaped tiers with far and wide reaching views, they’re the perfect new and exciting way to experience the magic of Trevornick in even more comfort. Choose from three different styles of interiors – contemporary chic, laidback coastal and stylish comfort - with two or three bedrooms and each kitted out with a fully equipped kitchen, plush living area with large flatscreen TV, sumptuous beds to snuggle in, powerful shower rooms, as well as USB charging points plus Wi-Fi access. You can even relax on your own private decking or dine alfresco when the sun shines. Be sure to take a look at what’s inside and at the 360 degree video tours that show the three styles off in all their glory. Some are even dog-friendly! Editor’s Notes: Trevornick is located on an immaculately manicured site where you can experience the extraordinary natural beauty of North Cornwall, the freedom of outdoor, saltwater living and the luxury of five-star facilities as standard, whatever the weather. This is carefree caravanning at its best and ideal if you have small children, or are made up of less experienced and aspiring campers. It boasts an envious location, right next to the sandy dunes that lead to the National Trust Holywell Bay beach – one of the most stunning in the region and even the UK, dog friendly year-round and the setting for much of period drama smash Poldark. Additionally, the superior and varied recreational facilities really are second to none and include a pristine 18-hole golf course (including pitch ‘n putt), three well-stocked fishing ponds, a relaxing Tranquillity spa, heated outdoor swimming pool, three different eateries and a teenage hangout. Holywell Bay Fun Park on site comprises over 20 superb rides and attractions - and with great value, all-inclusive passes on offer for Trevornick guests, youngsters can, for example, burn some rubber on the infamous F1 go karts, get lost in Merlin’s Maze and make a splash on the Blaster Boats. Intrepid explorers are also catered for in the form of wild rambling sessions to hidden nearby gems like Porth Joke beach to spot dozing seals and the ever-popular Wild Tribe - Trevornick’s outdoor skills adventure club set in the site’s very own beautiful woodland. This press release was distributed by ResponseSource Press Release Wire on behalf of Beyond 400 Consulting in the following categories: Children & Teenagers, Leisure & Hobbies, Travel, for more information visit https://pressreleasewire.responsesource.com/about.